Everyone has to grocery shop, unfortunately, there’s no way around it. 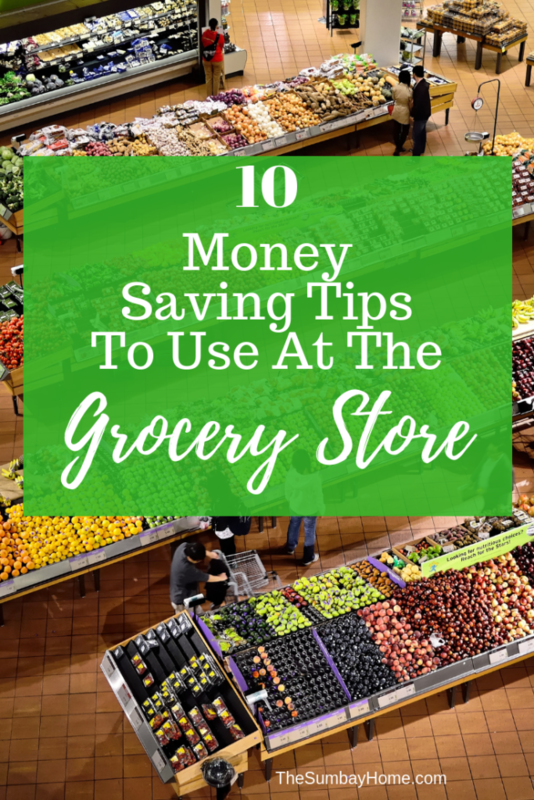 These tips will help you save money grocery shopping. You could eat out at restaurants or fast food every day, but we all know that’s not very healthy for you or your wallet. Even then, there’s still somethings you will end up needing from the store (like toiletries, laundry detergent, pet food, etc.). Retailers are trying to make the task of shopping easier for you, to combat online sales and stay competitive. Stores like Walmart now offer free grocery pickup. Where you get to shop on the app, they shop for you, and bring it out and load it into your car. I love this concept, and it’s such a valuable tool for busy families. Then you have grocery delivery services that bring your groceries to your door, which are equally just as great. The simple fact is that shopping is easy and convenient. You can shop online, use an in-store pickup app, a delivery service, or shop instore yourself. Unfortunately, the prices of the things we need and use never seem to go down, they just keep rising. 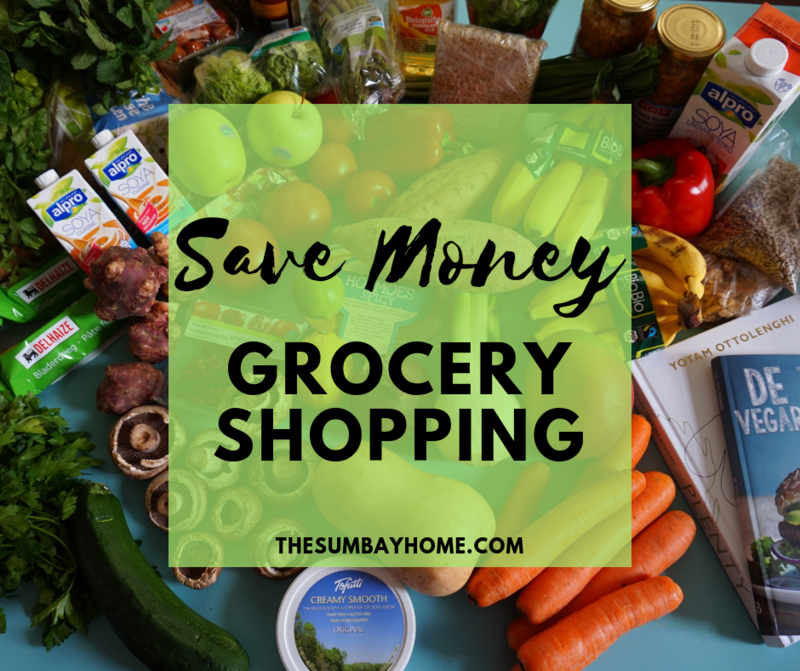 Here are a few things we do to save money grocery shopping. Are you stuck in credit card debt? Check out our post on how to eliminate your credit card debt. This is the best strategy to pay down those credit cards. Find out the best way to get out of credit card debt here. Again convenience is the name of the game with technology at our fingertips. Even if you only shop one store, you should take a glimpse at their sale flyer each week. I do this on my phone using the store’s apps. If your store doesn’t offer this, be sure to grab a paper copy in the store. Do not stockpile on miscellaneous random things that you don’t need. If you go through an entire flyer without finding anything that you actually need, you might be doing this right. If you find things that you know you really need, again your doing this right. Just try not to do the “oh this looks good” thing and fill your pantry or fridge with stuff you’re not going to use. If you don’t need it, don’t buy it. But if its something you use regularly, and you’re going to need it, buy it while it’s on sale. Your goal is to always buy your non-perishable essentials when they are on sale. In the beginning, it will take a few weeks to get on track with your stores sales. With fresh meat and produce, you don’t have the luxury of loading up when it’s on sale. You could buy a little extra meat and freeze it if you want. Most of these, especially produce you’re going to want to eat fresh. Again, check the sales before you just grab whatever you usually do. You might normally buy regular chicken breast, but the organic one might be on sale one week. If you don’t know, you could end up paying more for a lower quality product that week. Just check the sales before grabbing whatever you come across first. All stores are different, but if you pay attention you can find out how they do things. Most grocery stores cycle their sale items every 4 to 6 weeks. For example: If we like a certain kind of pasta sauce, and find it on sale. We will get at least a 4 weeks supply of it when it goes on sale. If we use 1 jar a week and have 2 bottles at home, I’ll pick up 2 more while they are on sale. Grocery stores have lots of items that they cycle through their weekly ads. If you regularly see something on sale, it’s likely that this is one of those items. With something like this, your goal is to never pay full price for those items again. Buy it when it’s on sale, and get enough to last you till it goes on sale again. If something has only been on sale one time, it’s probably just a random or seasonal item they are trying to get some movement on. Feel free to pick up a few extra if its something you really like, but just don’t expect it to always be on sale when you need it. Most grocery stores change their sales weekly, and if you are buying fresh meat and produce, you have to be in there at least once a week. This is where checking the weekly ads will help you, because you don’t always have time to walk down every aisle. Browsing the ads will help you realize if something you’re going to need is on sale. The ultimate goal is to always catch your non-perishable grocery store items when they are on sale. Unfortunately, this does not always work out. You can’t force the store to put something on sale just because you happen to need it at that time. Although that would be nice if you could. So what can you do in this situation? You need a certain kind of pasta sauce, but it’s not on sale. Of course, you could pay full price for it, if you are really set on that brand. But that’s not helping you save money at the grocery store. So if you don’t want to pay full price for that item, that leaves you with two other options. There is probably another brand that is on sale that week you could try. Or you can give the store brand a shot. In most cases, the private label (store brand) is significantly cheaper than the national brands. But that does not necessarily make the store brand less in quality. National brands are what they are, they are consistent, you can get them anywhere, and you know what to expect. These are the brands that also put money into advertising (to ensure they stay big national brands). This is why they come with a higher price. But you need to know that not all private label (store brand) products are created equal. If you purchased the same kind of private label cereal from each grocery chain in your area, I’m sure they would all taste a little different. You might find some that are not very good, some that are just as good as national brands, and some you might even enjoy more than the national brands. You just won’t know till you try them. Most of the time private label products are made from the same manufactures as the national brands. So you could be getting the same product with a lower price tag on it. Seems like its worth a shot to me. Ok, are you still reluctant to try a private label (store) brand? What if I told you the store stands behind their product and would give you your money back if you didn’t enjoy it? Well, I can’t speak for your specific grocery store, but I do know that most of them offer something like this. If you are unsure, check the back of the label or ask the store. Their goal is not to sell you an inferior product. It’s to offer you a comparable item, save you a little money, and increase their profit % on that item. Yes, the store might make the same amount on either one, but this allows them to basically lower their prices for you, without affecting their bottom line. The first thing you need to do before you leave the store is pull off to the side and skim over your receipt. I have a good memory and can remember what everything I bought was priced at for a short period of time. If I look of the receipt right away, I can usually tell if I was overcharged. If you were, make sure to go to Customer Service and get it taken care of right away. I’ve noticed that some people feel guilty or embarrassed to do this. You shouldn’t, and if the prices are wrong on something, the store wants (and needs) to know so they can get it corrected. I know this is probably not common, but my local grocery store has a promise to ensure their prices are correct. With most items, if it rings up the wrong price, they will give it to you for free. As a way to apologize for their mistake. Don’t feel guilty about being overcharged, it’s the store responsibility to ensure their prices are correct. You don’t have to save them forever, just a week or two. I hate doing this but there are a few reasons why this will help you. Let’s say you realize you were overcharged, you have no way to prove this without the receipt. What if there’s something wrong with an item you bought. You might not have realized while you were in the store, but it does happen sometimes at home. The item can be spoiled, out of date, damaged, and you shouldn’t have to take the loss on that. Or you tried a private label product that you didn’t like, and the store guarantees their private brands. Save your receipts for a short period of time, just long enough to know if there’s anything wrong with something you purchased. Don’t feel guilty about returning something or being overcharged. In that case, the store is the one that should feel embarrassed, not you. Just don’t keep buying and returning the same private label item thinking it’s going to get better. When it comes to your pantry, there are 2 main things you need to do to keep things under control. First, once a month go through, reorganize everything and get rid of anything that you are not going to use. If you keep up with this, it won’t take very long each month. Look for open packages that might have gone bad, what do you have too much of, and is there anything that’s been sitting there for years. Check the dates of things that look questionable. Also, if you keep throwing away the same items, you should probably stop buying them. This is money in the trash if your not using these items. Second, take a glance in there a day or two before you go grocery shopping. This will help you in one of two ways. You won’t buy something that you already have, and don’t need. Or you will plan a meal based on something you already have. Ibotta is a great cash back app, that allows you to get money back on purchases. I browse through it before going to the grocery store to see if there are any offers that I might use. Think of Ibotta almost like an internet coupon. It’s a way for you to get some cash back on something you are already doing (which is a great way to save some money). If you can’t find the products that you already buy on Ibotta, they will reward you for trying new products. If something looks good and you want to give it a try, just activate the offer, and look for the products in the store. After making the purchase, you will just upload a picture of the receipt, and soon after they’ll credit your account. If your goal is to save money, make sure you don’t go buying everything they provide you an offer for. 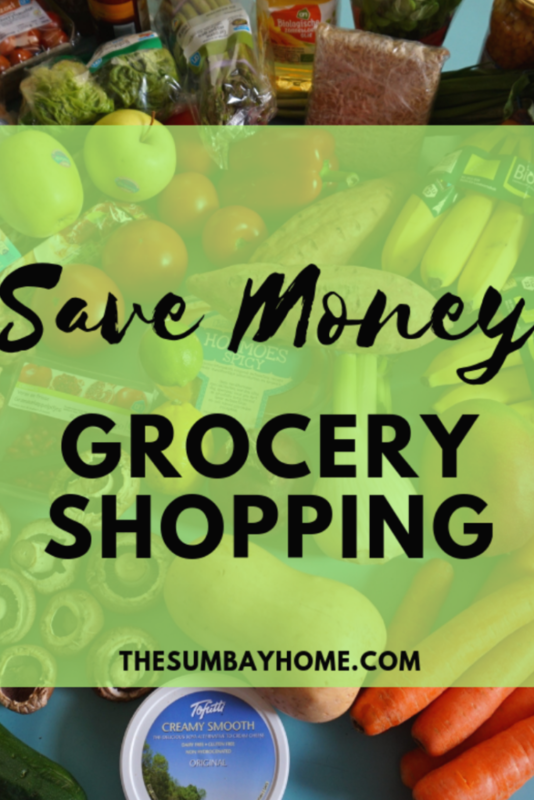 Use this to save money on the things you need, or try new products and save a little money while doing so. If you don’t already have Ibotta, sign up through my link here and you will receive a $10 welcome bonus after making a qualifying purchase. Just note that you have to have $20 before you can take money out. 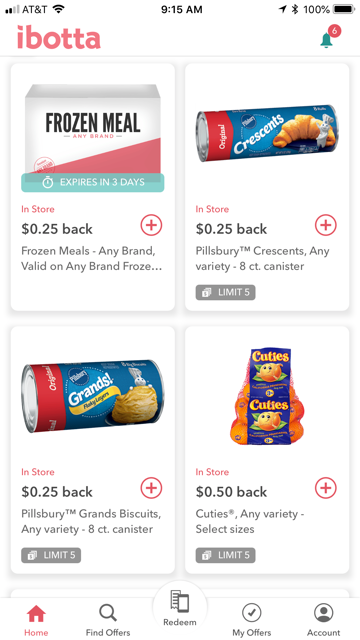 Coupons are great, I love using them to save money grocery shopping. 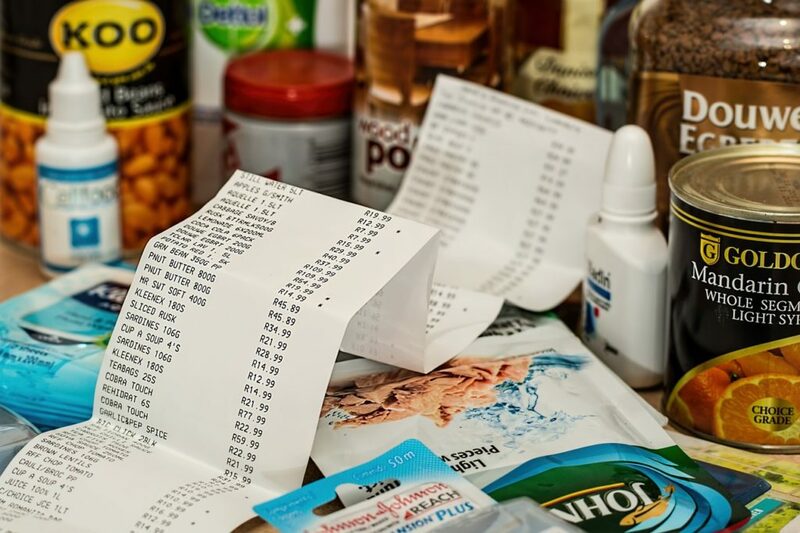 Unfortunately, there can be a few downfalls to getting stuck couponing. It can lead to you buying a boatload of unnecessary things that you don’t need or won’t use. Even if you get something for free, what’s the point if you don’t use it. I have heard so many stories about how someone got so many of something for close to nothing. Well, that’s great, as long as they are going to use whatever it may be. What I don’t like about coupons. They make you buy unnecessary amounts of things that you don’t need. They can cost you money if you have to pay for the newspaper or whatever to get multiples of them. Finally, couponing takes up a lot of time, which I don’t have. If couponing works for you, that great. Just be mindful, and make sure you are getting an ROI (return on investment) from your time and money that you put into it. Don’t spend $10/$20 a week on papers, or hours of your own time just to save a few dollars. How do they help? Well, they can save you money on the things you buy, which is great. Check to see if your grocery store also has store coupons to save you some extra money. Different states have different coupon policies, so you will have to look into your specific area to see what they are. But I know in some states, stores double coupons, take competitor coupons, or even allow you to use a store and a manufacturer coupon on an item. 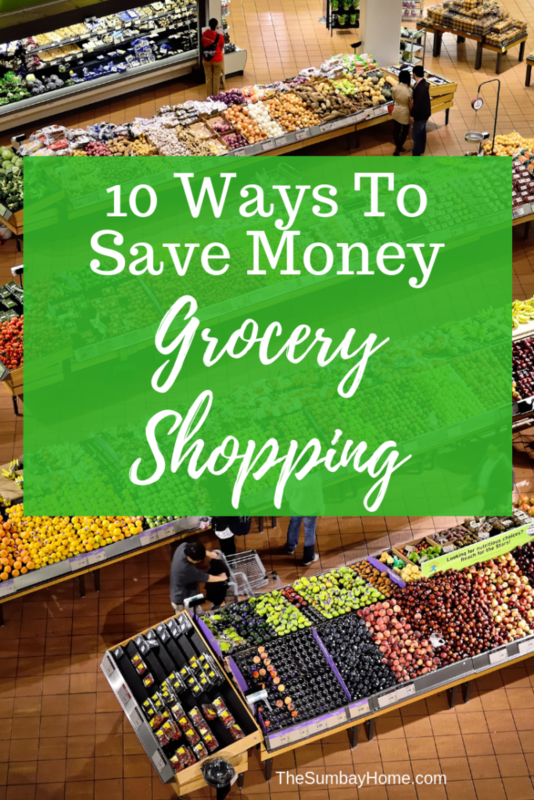 These things can turn into deep savings on your grocery bill, so it’s worth considering if you have the time. At the very least, use or look into the coupons that are conveniently available or provided to you from your store or in the mail. The best case scenario is you find an item on sale, with a coupon, and maybe even an Ibotta cash back offer. The chances of finding this are rare, but definitely possible. Shopping without a list is very difficult, and we all do it at times. The downfall is that we make bad buying decisions when we don’t use one. 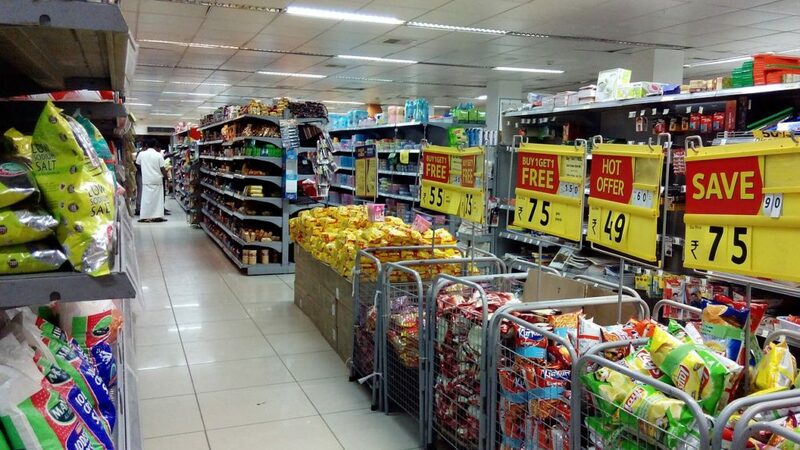 We just stroll through the store grabbing anything and everything looks good, or seems to be a good price. When you get home you might realize that you forgot to get any real food, or maybe not enough food. A list does not have to include every single item that you are going to buy. It can be used a guide through your shopping trip, and can be as detailed or vague as you want it to be. Sometimes my shopping lists include only the names of the meals we will be having for that week. If I am making some new things I might make a detailed list that week to ensure I don’t forget anything. Just try to use some sort of list, and remember the more detailed the better. Our family uses online lists to keep track of our needs. There are a lot of benefits, so consider trying one for your self. With an online list, you never forget to bring it with you to the store, unless you forget your phone. Anyone can add items to the list, and it updates in real time. We use an app called Wunderlist to keep track of our grocery needs, but there are plenty of options out there to use. If you have a smart speaker, you could even use that to create a list by simply telling it to add items to your list. You can access the list through the app when you are in the store shopping. 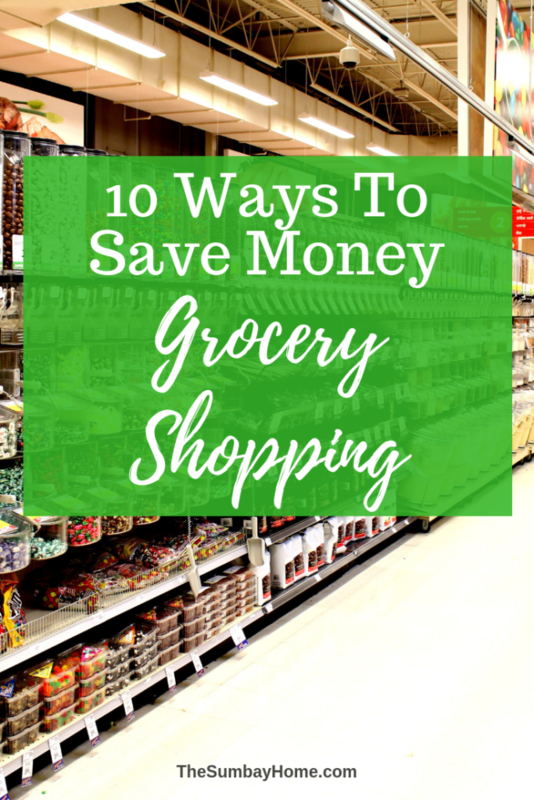 We hope these tips will help you save money grocery shopping. Let us know is there’s something you do to help save money in the comments below. We would love to hear from you. If you enjoyed this post, please follow us on Pinterest and Facebook for more great ideas in the future. Great info. Thanks for the insight.